Thursday took us south of LA county to the O.C. Our darling cousin Eloise invited us to help her celebrate her eleventh birthday by getting sand between our toes at the beach. (And sand in our ears, and our hair, and between our . . . you get the picture.) It was a lovely day. Addison swam with dad and got tumbled around a bit in the rough water. Douglas did a little boogie boarding and the boys played in the sand getting splendidly filthy! I seemed to be the only one who suffered from sunburn. Completely my own fault. Here is a person who for several years now has avoided the sun like the plague, uses sunscreen everyday and stays generally away from tan lines. So why I thought it would be a good idea to get a "little color" is beyond me. I plead temporary insanity. 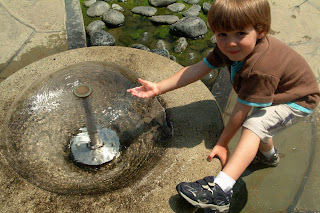 This picture is from the California-Beaches-something-or-other website. 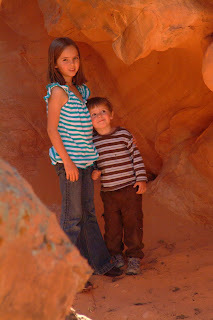 This little cove is a nature preserve with some very cool tide pools. Unfortunately, the tide was pretty high when we were there. But we did see a seal bobbing in the water. 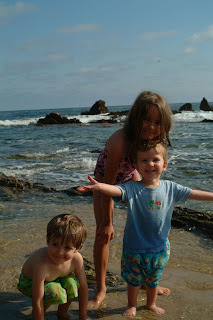 And because you aren't allowed to take anything of the beach, there were many cools shells for the kids to find. However, Don't be Fooled by the beautiful picture. Here are our advertising dollars at work. In reality, the sand was far from pristine! Imagine it covered instead by piles of kelp and seaweed. These mounds of kelp held a treasure trove of crab claws, lobster tails and other nifty treats. It was pretty messy, perhaps a weather phenomenon is churning things up more than usual? I don't know. At the end of June we received a surprise phone call from one of Addison's fourth-grade teachers. She wanted to invite Addison to be part of an exclusive summer program at the Westridge Girl's Academy. The program is sponsored by a few local, private schools and designed to target high-achieving girls in Pasadena public schools. Once a girl is invited to the program, she can return to the program, every year, all the way through high school. 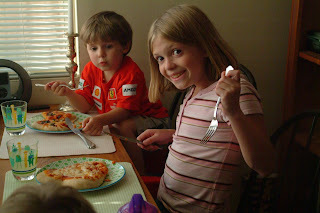 Normally, each school is only allowed to invite two girls entering into the fifth grade, and two future sixth-graders. Hamilton had already chosen girls. Fortunately for us, one week into the program, they still had four spots to fill. And, yeah! Addison was called. 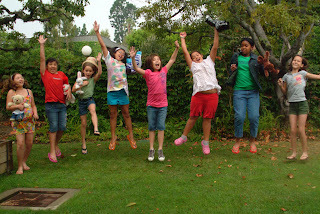 The Summer Enrichment Program, or SEP, was held everyday from 8 to 3 at the Westridge Girls Academy. 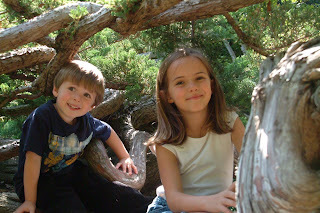 Addison had several classes every day, including math, science. language arts, PE and a journalism class. She came home everyday with something new to tell us about. One day, she interviewed students and teachers for the program's magazine. Another day, she told us that she extracted DNA from a strawberry. And the next day she dissected owl pellets. The girls also had a fun field trip to the Rose Bowl for swimming and hiking in the nearby Arroyo where they learned to identify the local trees by name. She also completed five book reports and read twice that number of books. The last week of the program included an Etiquette Tea where the girls got to dress up and put on their best manners, and an Open House Night for parents. The next day the girls had a Science Day, where teams of girls participated in designing a safe way to drop an egg onto a target. Today was the last day of the program and they finished with a bang! The girls had a carnival in the morning. The paraded around their favorite stuffed animals, and in the afternoon they had water play. The kid is exhausted! Addison loved the program and was very sad to see it come to an end. She is looking forward to participating again next year. 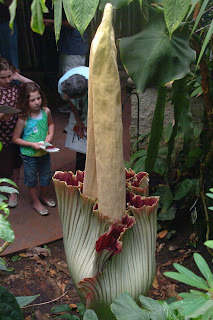 The corpse flower at the Huntington Gardens bloomed this year, a rare event which last occurred in 2002. 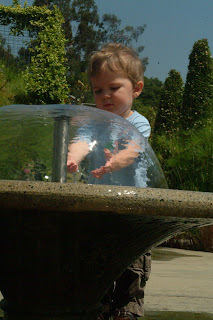 The boys love to play in the fountains in the Children's Garden at the Huntington. 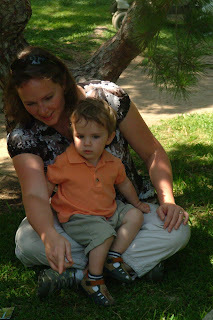 We have enjoyed our membership at the Huntington Gardens. 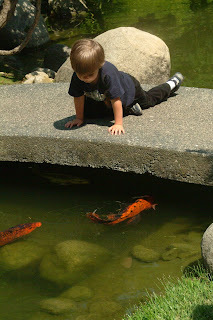 We love to spend a Sunday afternoon walking around, or simply sitting and watching the koi in the Japanese gardens. This summer has included some lovely friend time. 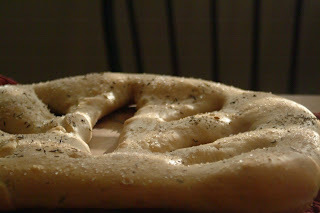 And I have had fun experimenting with bread making. 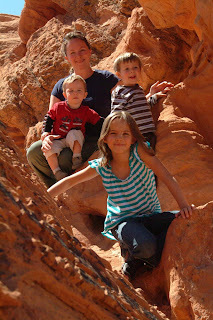 Way back in April, we traveled to Utah to enjoy Easter with family. On the way home we took a detour around Lake Mead and over the Hoover Dam. 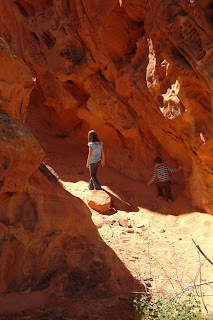 It was a gorgeous day, and we stopped to enjoy the desert scenery. 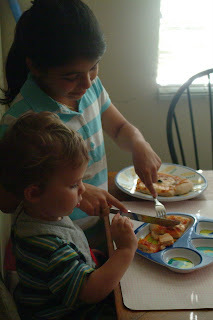 These are a few of the pictures from that day. 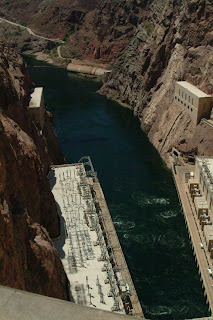 The Hoover Dam itself is an amazing site. 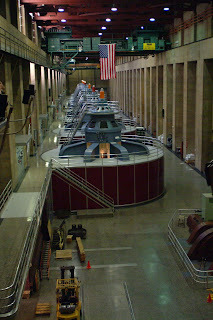 We took the dam tour (I giggle a little when I say that) and got to go down inside the dam and see the turbines. There also happens to be a huge highway construction project going on near the dam. 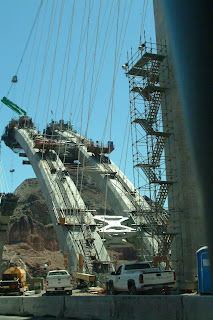 A new bridge across the canyon is being built. The project is awe-inspiring to say the least. It is difficult to describe just how big this bridge is going to be. The bridge will divert traffic off of the dam itself, which is currently a two-lane highway that slows to a 5mph crawl. Not very efficient if you just want to pass by. They bridge will really change the way traffic flows.